One of the things that constantly surprised me during my fieldwork was the extent to which local inhabitants observed and described their own ‘culture’. The forms that self-observations and self-descriptions take depend very much on the audience. In this article, I describe my encounters with such self-observations and my learning about the differences between outsider representations and insider understandings. Learning to recognise these differences was crucial for the ‘ethics’ of my research in terms of my interactions with both local officials and villagers, writes Hans Steinmüller. Chinese people love face (mianzi). In China, out of one billion people, 900 million gamble. In Shanghai, people are of ‘higher population quality’, and therefore they resolve conflicts by recourse to the law. The rural reconstruction programmes in this village are a broad success. High-stake gambling is a bad habit which always has negative consequences on production, work and life. ‘Raising the population quality’ is an important task of our development policies. During the fieldwork in Bashan, I had to learn quite a few things, including how to distinguish between formal and informal occasions; when it is appropriate to speak in official registers and when one can refer to insider knowledge (which I obviously did not have at the beginning). In some way these experiences forced me to learn about ‘research ethics’; I learned to reflect on the morality of my behaviour and what I was expected to do in certain social situations. Even though some of these experiences were quite frustrating – I committed many mistakes – I would like to believe that in the end they were not in vain: not only in the sense that I was allowed to do my long-term fieldwork, but also in the sense that the experiences helped my understanding of everyday ethics in general and that of the similar difference between insiders and outsiders or formality and informality. When I started doing my fieldwork in rural China in 2005, I encountered various difficulties. In particular, the relationship with local officials was not always smooth. What I did not understand in the beginning was how to show appropriate respect to the relevant people in the hierarchies of the party and the state. As an outsider and a visitor, I was also a potential intruder and troublemaker. I was by default in the position of the supplicant vis-à-vis the local government officials. After a previous experience in Jingmen where I was not allowed to do long-term research, I was extremely cautious when I arrived in Enshi Prefecture. I contacted the prefecture-level government and its foreign affairs office first and then eventually managed to meet officials from different levels of government :prefecture, county, township, and village. During the first weeks, I spent a lot of time in meetings and banquets, exchanging words and treats with officials and getting to know each other. I learned to appreciate the importance of such personal contacts and that of eating together, in particular. Being introduced to people, establishing contacts with officials—ideally during banquets—and just meeting and greeting were necessary to build the kind of trust I needed to continue doing research. At such occasions, I often had to listen to officials and other people lecturing me on the problems of the countryside, the beauty of the local culture, the struggles and achievements of local governments, and sometimes even the complexities of Chinese history. After a while, I got tired and bored about certain set phrases on ‘rural reconstruction’ repeated endlessly, yet I slowly understood that there were occasions in which formality, etiquette and politeness were necessary and that there were other occasions in which they were not required. As I came to build a certain rapport with my neighbours in the village, the way people talked to me also changed. At the beginning, there was a lot of formality and circumlocution; however, statements later on became more informal and sometimes blunt. Even though this might seem obvious, I found it also very helpful to think about my fieldwork material. The differences were not only relevant for my fieldwork, but also very important in people’s everyday exchanges, I think. The best example for this is the way people talked about fengshui (Chinese geomancy) and popular religion. At the beginning, people would often answer my questions about fengshui in a negative way, saying that such things do not exist there, and ‘only in the most backward place in the mountains, you might still find that kind of feudal superstition’. Living in the village for weeks and months, however, I realised that actually, most people were inviting a geomancer (fengshui xiansheng) when building a new house or when organizing a funeral. People’s reactions also changed when conversations touched on these potentially sensitive topics. Even though there was still a lot of indirection, people did not deny any longer that these kinds of things were actually very common in the area. I had similar experiences with regards to Daoist rituals at funerals. Generally most people, especially the younger generation, would say that they are completely meaningless to them. Nevertheless, many families would have elaborate rituals and invite Daoist priests for the funerals of their elders. The ways in which people referred to gambling, corruption discourses, and other issues that were sensitive in one way or the other, were similar. With all those topics, it is vitally important to pay attention to which audience one is speaking to: local insiders and/or distant outsiders. Most fundamentally, there is a difference between those who are ‘one’s own people’ (zijiren) and those who are not. Amongst ‘one’s own people’, there are fewer limitations of decency and decorum. Everyone speaks directly and in kinship terms. I had to learn these things too, and it took me a long time to use kinship terms appropriately. When dealing with popular religion, gambling, and corruption, however, this sensitivity speaks of more than the boundaries between insiders and outsiders in a local community. It has its origins in a long history of state governance, and specifically the kind of modernisation policies the communist state implemented since the Maoist era. Of course, the sensitivity might be heightened when talking to a foreigner like me – according to the hegemonic modernist discourse, these phenomena are a disgraceful reminder of China’s ‘feudal’ past and hence shouldn’t be shown to outsiders. Nevertheless, the potential awkwardness these phenomena cause is very significant in the way locals deal with those things. They remain sensitive, not the least because people can be judged and persecuted for engaging in gambling or corruption for instance. At the same time, these things are really very common and in many ways, crucially important in local sociality. What I describe as everyday ethics is precisely the ways in which people deal with such dilemmas: what has to be concealed and what can be revealed to what kind of audience. This is particularly important for those things that are ‘remnants of traditionalism’ such as popular religion and gambling. They have to be condemned or at least dealt with extreme caution when spoken about in public. They are of central importance to local communities. To become skilful social actors, ordinary people in contemporary China have to be observers of their own culture, that is, they have to compare the ‘traditional’ and ‘modern’ aspects of their lives. They have to learn how to appropriately conceal or reveal their insider knowledge about a shared ‘traditionalism’ such as gambling. This process of social learning is not so different from the ‘second socialisation’ of anthropologists, which includes practical apprenticeship and learning about ‘research ethics’. I had to learn how to appropriately deal with officials who were gatekeepers to local communities and who monitored my field research activities. Later on, I also had to learn how to appropriately deal with the borders between household members, relatives, neighbours, and strangers. Boundaries between insiders and outsiders are extremely important in people’s everyday life, and I think such boundaries are actually crucial to an understanding of everyday ethics in rural China. 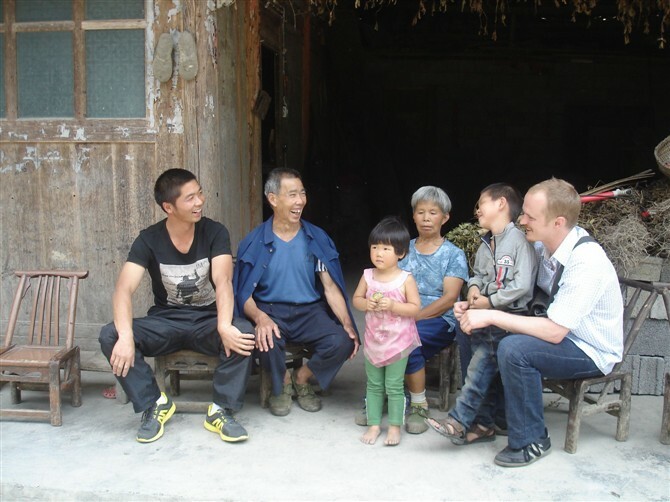 Hans Steinmüller is a specialist in the anthropology of China at the Department of Anthropology, LSE. 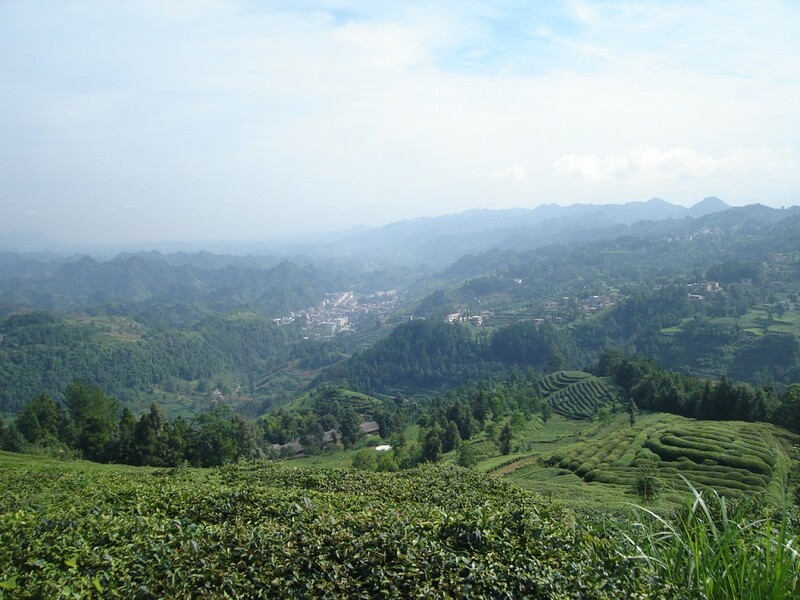 He has conducted long-term fieldwork in the Enshi region of Hubei Province in central China, focusing on family, work, ritual, and the local state. The main object of his research is the ethics of everyday life in rural China, but he has also written on topics such as gambling, rural development, and Chinese geomancy (fengshui). 2011. The Reflective Peephole Method: Ruralism and Awkwardness in the Ethnography of Rural China The Australian Journal of Anthropology 22: 2, 220-235. 2011. The State of Irony in Rural China Critique of Anthropology 31:1, 21-42. 2011. The Moving Boundaries of Social Heat. Gambling in Rural China Journal of the Royal Anthropological Institute 17:2, 263-280. 2011 with Wu Fei . 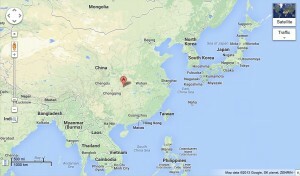 School killings in China: society or wilderness? Anthropology today27:1, 10-13. 2010. How Popular Confucianism Became Embarrassing: On the Spatial and Moral Centre of the House in Rural China Focaal: journal of global and historical anthropology 58, 81-96. 2010. 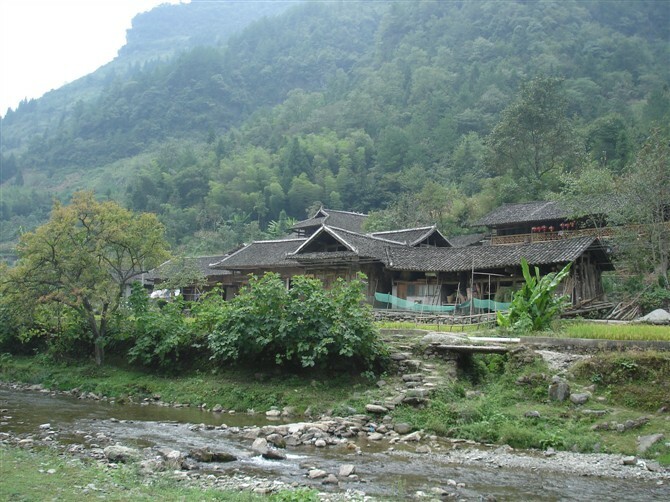 Communities of Complicity: Notes on State Formation and Local Sociality in Rural China American Ethnologist 37:3, 539-549. This entry was posted in Research Ethics and tagged China, ethnography, everyday ethics, research ethics. Bookmark the permalink. Thanks for this, these things are truly fascinating. As I think most anthropologists, I had similar experiences when doing my own fieldwork in Bolivia. I found it interesting to notice, not only how what people were prepared to tell me about changed over time but also how what they said about certain topics would depend on who in the community was talking to me and in what capacity. I didn’t really have much to do with local government officials but people from within the community who held positions of leadership and those who had had a lot of involvement in NGO work were much more likely to give me ‘official versions’ on things I asked about than others. Also, it happened on more than one occasion that once one person had talked to me about something everyone had been denying any knowledge of up to then all kinds of others suddenly decided to tell me about it too. The trickiest thing for me was how to write about such things in the end, i.e., how to decide what was safe to say and what wasn’t.